I met Owen when he was just 15 days old. He was cute as can be and so was his 2 1/2 year old sister, Avery. Allison had some great ideas for special photos she wanted. Allison and Jason had a handmade white knit blanket that was important for them to use, so we incorporated that. 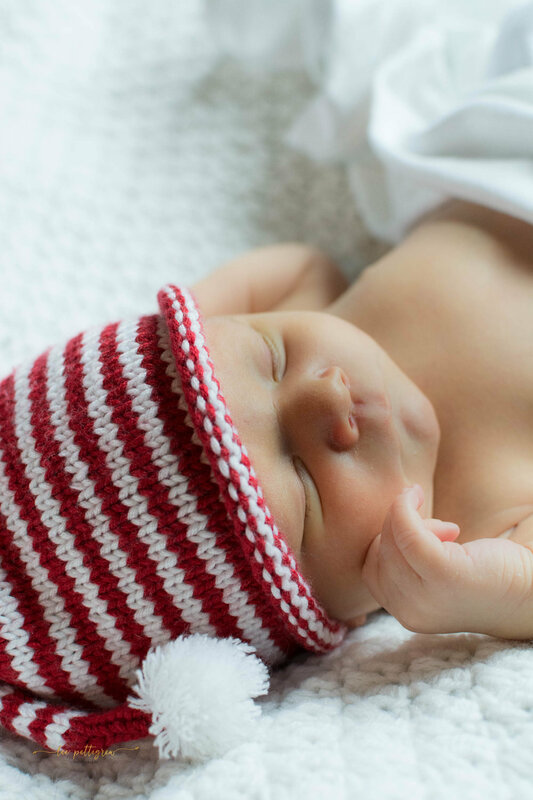 Allison also had a red and white knit hat she wanted to use because Avery had photos taken with a similar one when she was a baby. I brought several different fabrics and wraps. Allison chose teal and mentioned that was one of her wedding colors. I also used a knit hat from Knitney's. We started off with photos in the crib, which included Avery. Then I moved on to Avery in her room. She enjoyed jumping on her bed and showing me around. After that, we did some wrapping. Next, we went on to family photos. Did I mention that Jason is from Chicago!? Yes, a fellow Bears fan!! !